NZDUSD is falling down along with the MA of 20 and 50 and it is not showing any signs of gaining momentum. Now the support is resting at 0.6600 and 0.6535 with the resistance at 0.6650 and 0.6750. 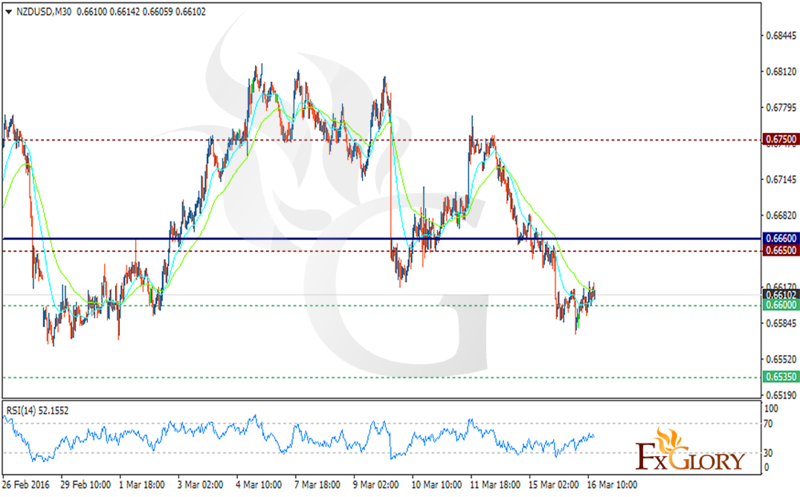 If the price fails to break the resistance at 0.66500 it will continue its decline up to 0.6570. The price is fluctuating below the pivot line at 0.6660 which signals the bearish trend for the coming hours. Short positions are recommended targeting 0.6570 which may even go lower to 0.6540. However, if the bulls appear, the price will jump higher than the pivot point. Buyers can wait for the price to reach the pivot point and then target 0.6705 followed by 0.6730.